Introducing WaterFurnace Hydronic Services - a complete turnkey solution for geothermal hydronic systems. 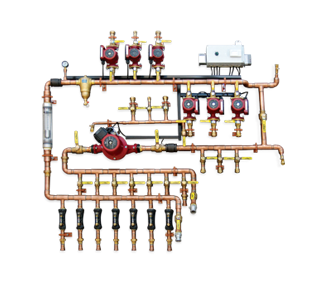 Hydronic systems can be time-consuming and complicated to design. Free up your resources and let us provide a complete system. All custom packages include a detailed project analysis, a comprehensive set of plans, the exact components needed, a finished control panel and dedicated technical support. Stay ahead of the competition by spending more time selling and less time designing. The program is simple to use and will yield great results on even the most complex projects.